If you are in the market for a new Toyota, Toyota Certified Used or any other quality used vehicle in the greater Houston area, Toyota of Alvin is your one stop Toyota store! We want to help you find the perfect new Toyota, Toyota Certified Used or other quality used car, truck or SUV you have been searching for. If you need financing, our experienced Finance Department can help you find the terms and rates to fit your budget. We also offer a maintenance and repairs in our Service Department and any part or accessory you may want or need in our Parts Department. 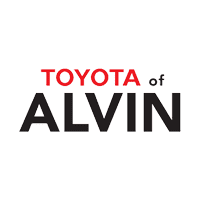 Toyota of Alvin is proud to serve the greater Houston area as well as surrounding cities including Pasadena, Pearland and Baytown. We have also welcomed customers from the surrounding states as well, including Oklahoma, Mississippi and Louisiana just to name a few. No matter how near or far you may be from the greater Houston area, Toyota of Alvin wants to make you a part of our family. For questions or more information, please contact us at (281) 205-8212. We look forward to meeting you soon!